Ok Jacq, I’ve decided to post all my craftiness going backwards in time. This way you can have the big anticlimactic reveal of this crochet project. Ha! Ok. Post number one is a great game we have been playing over the past few days. 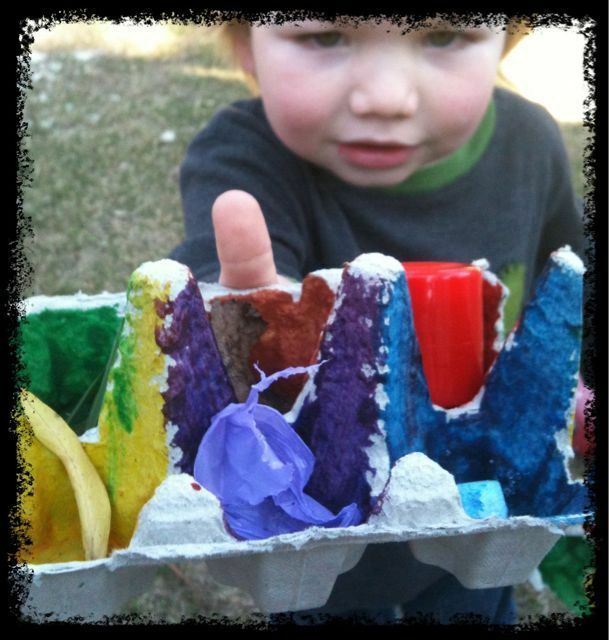 Easy peasy and fantastic for keeping toddlers busy in the backyard or inside on a rainy day. I can’t remember where I got the idea, somewhere in blog-land. 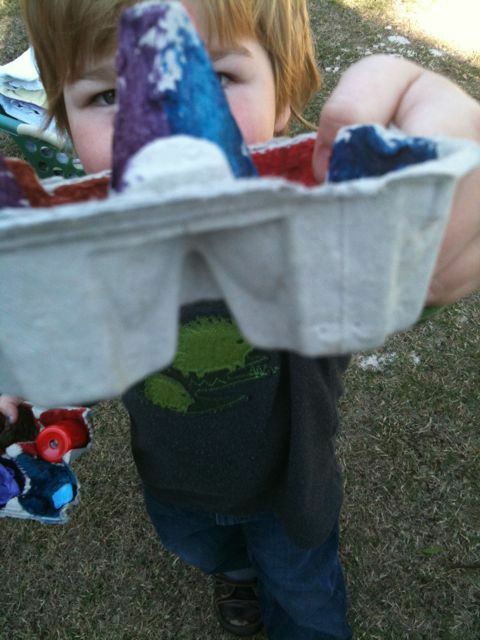 Anyhoo, once the carton is dry send the wee ones out and get them to find something in the yard to match each colour. Green, brown & yellow was easy but we had to think outside the box to fill the purple & blue one! Giles ended up finding a blue telescope toy & bit of purple rubbish bin bag. Cool huh. Try it one weekend. 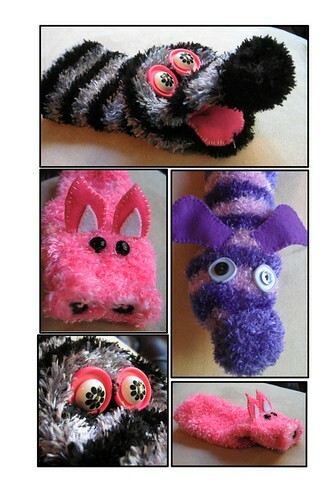 It will keep the kids busy for at least twice the time it takes to make, which in my book is a winner!